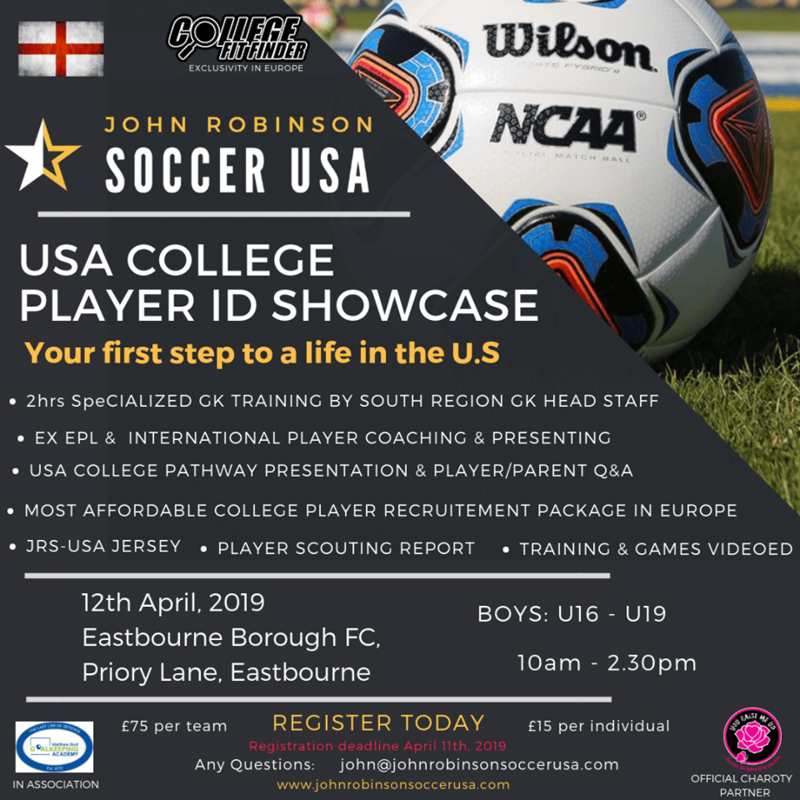 John Robinson Soccer USA our American College Recruitment partner announce there 1st Sussex County event of 2019. In attendance will be Eastbourne Borough GK Coach Dean Lightwood & Matt Burt Goalkeeping Academy doing a 2hr specialised clinic. At the event players will have training, 11v11 games, scouts evaluating, event videoed & presenting the most affordable college recruitment opportunity in Europe, only available with JRS-USA.